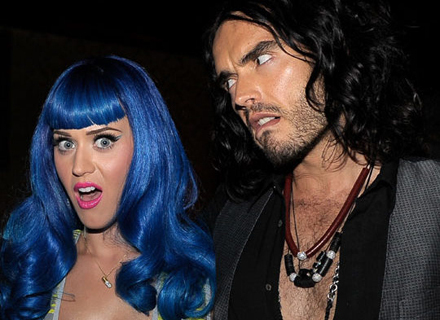 Katy Perry allegedly wants Russell Brand back. While on the one hand I can see where she may wish she were back with him because her actions since the split speak of someone crying out for attention or incredibly hurt which makes this story even more unbelievable. And she’s also back to smoking which to me could mean something. The ex-hubby has been boinking his way through Hollywood and seems at peace with the fact that they aren’t married any more, so even if she came crawling on her knees, while he may be delighted she’s assumed the position (he is a pig afterall), it doesn’t seem like settling down is in his future ever again. The fact is that the opposite of love isn’t hate, it’s indifference (like Russell is toward her and marriage) and that is usually impossible to turn around. What is Katy Perry looking forward to most with ‘Teenage Dream’?